Is Boss Capital a Scam? 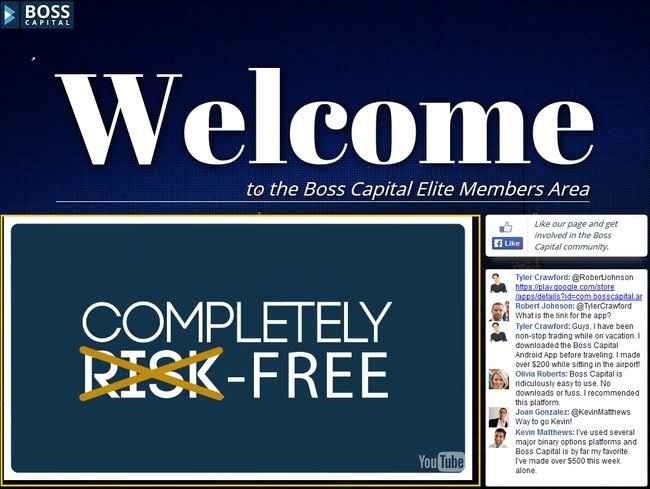 Boss Capital promises quick profits and no-risk binary trading from home. Can they be trusted? More importantly, is Boss Capital a scam? Boss Capital, a relatively new binary options broker launched an aggressive marketing campaign recently. Boss Capital was founded only in 2014 by Marblestone Partners Ltd, so it’s understandable that it wants to get the words out as soon as possible. However, there are something to take note of if you come across the sales page of Boss Capital, like the one shown in the image above. Within their sales pitches, Boss Capital is not telling you the truth of binary options trading. Instead, they feed you with unrealistic promises and outright lies of quick riches. More on that below. If you’re new to binary options, we will explain how it works briefly so that everyone is on the same page. Binary options is a form of trading that’s been gaining popularity in recent years due to its simplicity. Instead of analyzing charts and reading news, with binary options, you only predict if an asset’s price will rise or fall after a short period of time, usually between 30 seconds to minutes. You either win, or you lose the bet (hence the name binary options). Let’s say I predict the price of an underlying asset to rise 3 minutes from now, and I bet $50 on it. If I’m right, I’ll win a certain percentage of what I bet. With Boss Capital, they claim to offer up to 85%, but the real range will be between 60%-85%. So if I guess correctly, and the asset’s price rises when my 3-minute contract expires, I win $40 for a contract with 80% profit. However, if I’m wrong, I lose the entire sum that I bet. This makes binary options not that different from gambling. There’s no good way of predicting the market in such a short amount of time. Even if you manage a 50% win rate, you’ll still lose money due to the uneven winning vs losing payout. The video within Boss Capital’s sales page isn’t telling you the whole truth about binary options trading. In the video, Boss Capital tries to sugar coat binary trading by omitting the big risks that come with it. In their sales video, Boss Capital claims that you will earn big money trading with them, using just a few minutes from home everyday. All you need to do is to decide if the price of an asset goes up or down, and that’s it. You profit from the market. What Boss Capital conveniently left out is the huge risks you impose on your capital. They keep stressing that opening an account with Boss Capital is free, but you need to deposit a sum of money before you can start trading. If you want to watch the unrealistic sales pitches of Boss Capital, you can view it on YouTube here. The truth is, every time you trade, you are risking your capital just like any other investments. However, unlike other longer term investments, you are simply guessing the market’s movement within an extremely short period of time, making binary options more like gambling than trading. Remember – whether you win or lose money, Boss Capital will profit from you through your trading activities. That’s how brokers earn money. And that’s why Boss Capital wants you to believe that binary trading is the ticket to financial freedom. But it is not. Even Forbes, the renowned financial website warns you against gambling on binary options. 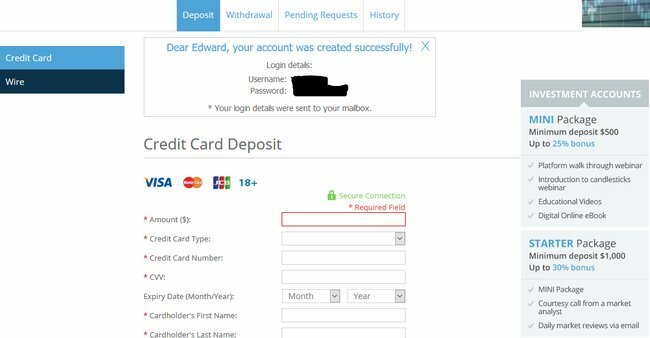 If you sign up for an account with Boss Capital, you will be brought to the deposit page before you can start trading with your account. On the right sidebar, you will notice the investment accounts with different amounts. The most basic package seems to be the MINI Package, which starts at $500. There are a host of other packages, and they go all the way up to a minimum deposit of $25,000. However, after checking with their support team, the actual minimum investment for Boss Capital is only $200. This wasn’t written in the deposit page at all. The minimum of $500 deposit only applies to wire transfer. Boss Capital tries to lure the first time users into believing that $500 is the lowest investment amount. You have to talk to their support or find their FAQ page to find out the real minimum deposit with Boss Capital. Should I Join Boss Capital? NO. Although I wouldn’t call Boss Capital a complete scam, it is undeniable that their sales materials try to mislead you, and make you think that you can make easy money with them without risks. The truth is, you are facing great risks, and the risks are all on you, not the broker. 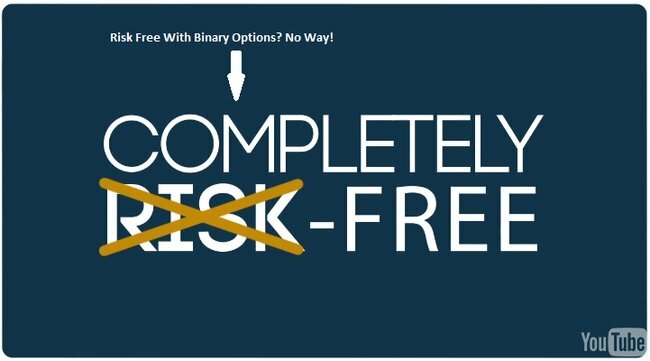 As we’ve said in the review earlier, we don’t recommend binary options as a way to make money online. You are essentially putting your hopes and your entire investment in a different form of gambling. Magnum Options Scam or Legit?